BPY's enrollment has grown consistently from 27 students to a current student body of nearly 500. Our students come from Teaneck, Englewood, Bergenfield, New Milford and Tenafly, Fair Lawn, Fort Lee, Paramus, Monsey, and Riverdale. BPY offers classes from Toddler (2-year olds) through 8th grade. Our graduates attend diverse high schools including Frisch, Ma'ayanot, TABC, SAR, MTA, and The Idea School. BPY is extremely proud of our unparalleled, true Hebrew immersion program - the only one in the tri-state area. Our students are fluent in Ivrit and can speak and understand the language. Our Judaic faculty includes the largest number of shlichim in a Jewish day school in North America. Our wonderful bnot sherut help support the school’s Zionist and religious philosophy. 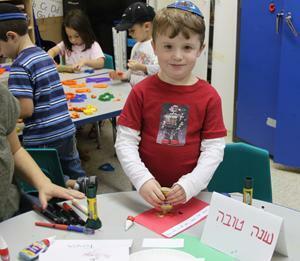 BPY teaches both Sephardic and Ashkenazic traditions to emphasize an inclusive Klal Yisrael approach so that our students will feel comfortable in any beit kenesset or Jewish community around the world. The teaching of Ahavat Yisrael is naturally woven into the fabric of the school, thereby fostering an atmosphere of fine middot. BPY provides an outstanding general studies program featuring small group, differentiated instruction. Children receive enrichment and support as needed within their regular classrooms. We utilize an integrated technology skills program for grades PK-8th emphasizing digital citizenship and fluency. Every Middle School student receives an iPad or Chromebook. BPY has a fully-staffed Learning Center, including both enrichment and support, to meet the diverse learning needs of all our students. BPY is famous for its child-centered approach to Early Childhood education, Hebrew immersion program, and strong early literacy experiences. BPY offers Early Childhood transportation based on demand, and options for early drop off, and offers afterschool clubs and extended care until 5:30 p.m. for students in grades toddlers-8th. BPY offers a vast array of extracurricular programming including clubs, drama and sports. BPY prides itself on our warm, nurturing, family atmosphere. This warmth and communal feeling is interwoven into the educational philosophy of the school.